Thank you for contacting Car Buyers Arizona. 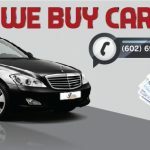 Since 1999 we have been buying cars and trucks in and around Phoenix Arizona. If you need to sell your car or truck contact us for a fair offer. We buy cars for cash everyday. We are fair in our pricing and appreciate your time. We come to you or you can come to us. Our newest location is at 22216 N 23rd Ave Phoenix Az 85027. 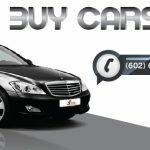 We are Arizona’s premier car buyer service. Sell your car today. You’ll never have to worry about getting paid or whether the buyer is going to show up. Through our simple online quote process, a buyer will speak directly with you to schedule a convenient pick-up time for your vehicle. Address 2) 7521 E. Cannon Dr Suite#2.